John Helms serves as the director of the Information Technology Division of the Mississippi Development Authority. In this capacity, he oversees all aspects of the agency’s computer and technology operations. He is also responsible for developing and executing the agency’s information technology strategic plan, and he oversees the IT Division’s team, which is dedicated to building a cutting-edge, technological advantage for its employees. 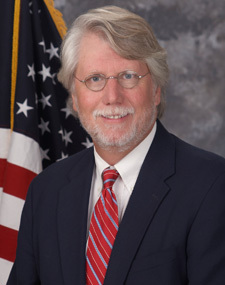 Prior to serving as the agency’s information technology director, Helms served as both deputy director of MDA’s Marketing and Communications Division and as director of Research. In that position, Helms was responsible for the day-to-day operations of the division, and he worked closely with MDA’s other divisions to maintain a coordinated, targeted message that was consistent with MDA branding. Before joining MDA, Helms served as marketing/public relations director for three Mississippi corporations, compiling more than 20 years of experience in the field. Helms holds a bachelor’s degree in journalism from the University of Mississippi and master’s degree in economic development from the University of Southern Mississippi.